I know I’m late on this but as many of you already know, I spent a good portion of the beginning of this month in Cincinnati getting an Airbnb ready! If you didn’t know, it’s because you weren’t checking my stories I guess. :) Anyway, this month’s book is appropriate (for me) because I’ve been hanging in the Midwest in Airbnb mode, but currently writing this on my way back to the desert. I’ve got to get back into desert mode! I can’t wait to dive into learning more about the Airbnb and desert vibes at The Joshua Tree House! Check out this month’s book club choice! 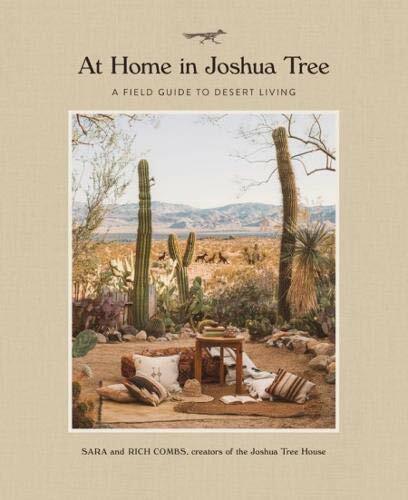 At Home in Joshua Tree: A Field Guide to Desert Living Hardcover, by Sara and Rich Combs was just released which makes me super excited to grab up something that hasn’t been floating around for a while. This book dives into desert living, the design of their famous Airbnb and even includes some recipes! Who doesn’t need more salsa in their life, honestly? Let me know what you think of this book below. Miss previous months’ book? Check out the archives.